Titanium bolts and fasteners are the noble metal entry into the joining and fixing business. 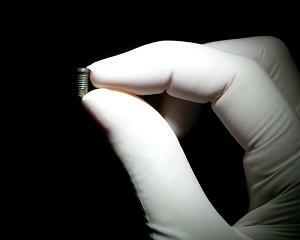 Titanium bolts are most used in racing industry, in mountain climbing and in medical implants. Bolts made out of titanium metal are among the racing industry hottest commodities due to their desirable properties such as excellent corrosion resistance and superior heat conduction and the specific working process which involves heavy stress factors, and different atmosphere elements. In racing, the amount of force that can be developed with a bolt is incredible. For example, a connecting rod in a race engine, type V-8, that makes around 800 – that’s almost five time the average street car power - then we are talking of 100 horsepower per cylinder being contained by just two bolts. And these bolts are expected to perform several times over the course of a season. The actual improvement that titanium nuts and bolts offer to racing car is so great that some racing competitions completely forbid the use of the titanium bolts in racing car entering the competition. Bolts for bicycles come in either cut-thread bolts or rolled thread bolts. 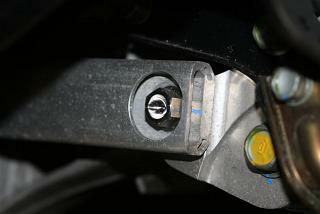 It is usually accepted that rolled-thread bolts out-perform cut-thread bolts. Commercially pure titanium is used usually, but for higher bolt strength TI-6Al-4V is employed, though machining titanium can be rather expensive. Decorative titanium cycling bolts are also common for bicycle users. The use of titanium bolts in dental implants dates only 40 years back, though dental implants are know to be used since the ancient times with different materials. In 1952 Per-Ingvar Brånemark a Swedish orthopedic surgeon and research professor accidentally discovered that titanium has the unique ability to bond irreversibly with living bone tissue they are inserted in, probably due to the passive oxide layer that titanium generates in contact with oxygen. This property is called osseointegration. This is one of the titanium properties that is not yet fully explained by the medical scientific community, but the data gathered so far allows sufficient space for medical staff to be able to employ implanting techniques with a great degree of safety. Titanium dental implants became the new standard in implant technology. Today there are an estimated 7 million titanium implants that have been placed in patient’s mouth. Mountaineers and titanium have had a beautiful relationship since the metal was first used for manufacturing commercial products, rather than aerospace components. The possibility of having something at least as reliable as stainless steel regarding strength and corrosion resistance, but with half the weight, made many mountaineers extremely happy, to say at least. Apart from titanium cookware, which is a must for anyone looking to spend a few days in the mountains, for those brave enough to leave the nice long-established pathways and try to take the short route across the cliffs, the employ of bolts is critical. 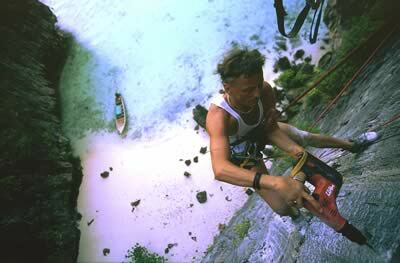 Bolts are small, permanent anchors fixed in the rock at regular intervals. They offer dependable protection and can reduce the chance of a very long, long, long and potentially severe fall. State-of-the-art titanium bolts are especially suited for rock-climbing in extremely corrosive environments, such as sea-side cliffs where there is a serious problem with the sea spray and the general humid environment corroding away other more usual bolts. Permanent bolts used in such areas have been known to stay for time spans exceeding five years without losing their reliability.